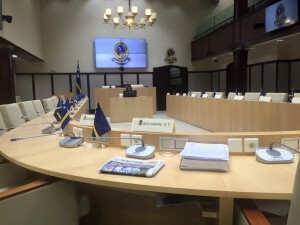 WILLEMSTAD – The ruling party MAN wants to amend the Elections Legislation so that candidates with more personal votes can take a seat in parliament. A proposal to that effect has already been submitted to parliament, but the National Advisory Council gave a negative advice on that. Currently, the order of candidates on the party list prevails. This is also the reason why the MAN had problems after their candidate ministers were sworn in. Yaël Plet gets a seat in parliament instead of Wimbert Hato, who had more personal votes in the elections of October 5 this year. The blue party will not investigate how the elections legislation can be amended. Sint Maarten already amended this legislation and this is why personal votes are more important than the order of candidates on the list.